The archangels and Sri Yukteswar, an ascended master, prepare you for the shift from third to fifth dimension through insights about the changes and exercises to reclaim your power and commonly encountered experiences. The co-author, Mary Moriarty, gives an overview of her experiences with what some call the dark night of the soul, something rarely talked about. While this is an individual journey, there is a commonality of events individuals are usually confronted with. Mary shares her exercises and offers ideas to create a flow in your life. 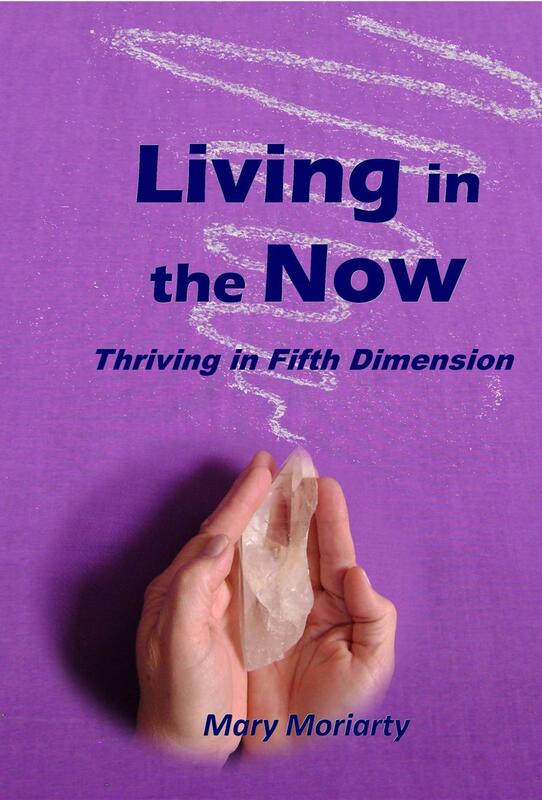 ​"Living in the Now has a lot of interesting and useful information about the 5th dimension along with exercises to help a person grow spiritually. The book is helpful for anyone new to metaphysics as well as someone who already understands the basics." ​​Carole Conlon, L.Ac.